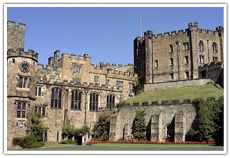 Beautiful and historic Durham County is located in the North East of England. It has long been referred to as the ‘Land of the Prince Bishops’ as in centuries past the region was ruled not by the king, but by the bishops themselves. 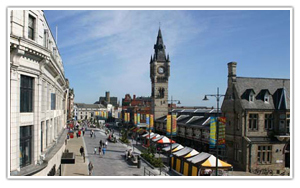 At the heart of the county is the City of Durham, awash with centuries of history. The city has been built around its 11th-century castle and stunning Norman cathedral, famed for housing the mortal remains and Anglo Saxon relics of St Cuthbert and the Venerable Bede. Durham County is a vibrant university town where the old and the new mix together to create a unique experience for visitors. Approximately three hours away from London by train, an hour by air and around five hours by road it is within easy reach of the capital. An original Quaker town and terminus of the first ever railway line which ran between Stockton and Darlington. The Darlington Railway Centre and Museum honor this pivotal point in the development of transport which its exhibitions relating to the birth of the railway. The original home of the Bishops of Durham the town is filled with an ancient architecture such as Auckland Castle locally referred to as ‘The Bishop’s Palace’. There is also an ancient Roman fort here which offers the visitor a chance to see the best example of a military bath house in the country. Beamish is home to a truly unique museum. 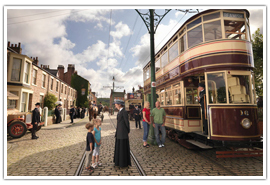 Used as the backdrop in many period television series Beamish Open Air Museum is the ‘Living Museum of the North’ and is a highly popular tourist attraction. 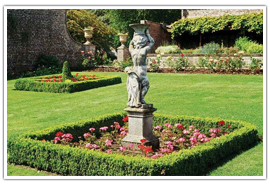 The county is filled with stately homes which offer stunning grounds and gardens for the public to enjoy. Located on Frankland Lane, Sidegate; the manor house at Crook Hall dates from medieval times and is nestled within truly stunning gardens. There is a secret, walled garden to explore as well as the Shakespeare, Silver & White and Cathedral themed gardens. There is also a maze to explore in the meadow. Opening times vary across the year, but the main opening days are Sundays, Mondays, and Tuesdays between 11 Am – 3 Pm. 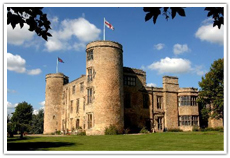 Located in Staindrop in Teesdale within the beautiful Durham Dales, Raby Castle is one of the most impressive of all of the medieval castle in England. 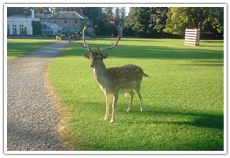 Aside from the stunning grounds, walled gardens and woodlands there is also a large deer park. The deer park and gardens are open from Sunday through to Wednesday from 11 am – 5 pm. Located in the town of Spennymoor the park has 73 acres of historic parkland complete with fallow deer which can be hand fed by visitors. The stunning ornamental lake is home to a variety of waterfowl and also offers visitors the opportunity for course fishing. 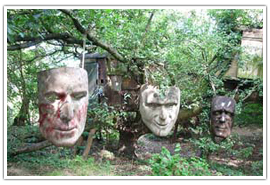 There are also a number of beautiful woodland walks and a children’s play area within the grounds. The park is open seven days a week between April 1st and October 31st including bank holidays. In 1072 William the Conqueror ordered the building of a castle here, under the watchful eye of the Earl of Northumberland. The Earl was executed after rebelling against William in 1076 and the castle passed into the hands of the Bishop of Durham who bought the now-vacant earldom which allowed him to become the first of the powerful Prince Bishops. 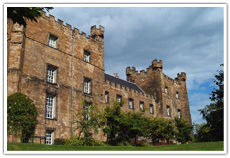 Durham castle is now part of the University and is open for guided tours between 10 am – 4 pm daily all year round. Visit the Durham University website for more information. 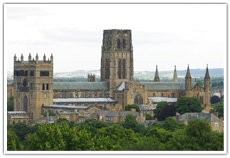 Situated across the green from Durham Castle the cathedral is a stunning example of Romanesque architecture. Construction began in 1093 and it took just under four decades to complete this incredible building. The cathedral contains relics relating to St Cuthbert and the Venerable Bede and has one of the most recognizable door knockers in the world, used by many to claim sanctuary in times of need. The cathedral is open 365 days a year from 9.30am – 6 pm; occasional access may be restricted due to special services taking place. More information can be found on the Cathedral website. 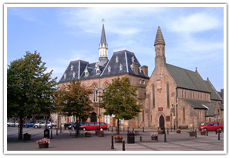 Situated in historic Barnard Castle the museum offers exhibitions relating to the decorative arts and fashion and includes many original old masters within its collections. The main attraction of the museum is in the silver swan, an automaton dating from 1773 which is visitors can watch working during its incredibly popular daily display. The museum is open daily between 10am-5pm. 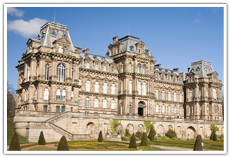 More information can be found on the Bowes Museum website. Learn about the history of the Durham County Light Infantry and their involvement in both World Wars. There are two centuries worth of emotional and evocative diary extracts and letters home, as well as personal stories voiced by the soldiers themselves to encounter. 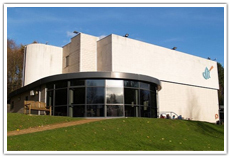 The art gallery is located upstairs and offers many different exhibitions throughout the year. The museum and gallery are open Wednesday –Sunday between 10 am – 4 pm, see the museum and gallery website for further information. There is more to the Durham County than merely soaking up the ambiance and history. 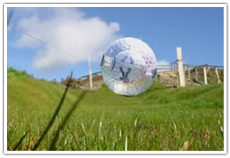 Situated in Barnard Castle, visitors to the center can enjoy a range of activities including clay pigeon shooting, zorbing, archery, and paintball. 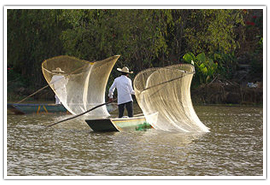 See http://www.north-east-outdoor-centre.co.uk/ for more details. Enjoy a day at the races at one of the country’s most popular race courses. Experience the hospitality and enjoy the excitement of the race, as well as special race-themed events. 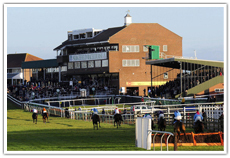 Visit http://www.sedgefield-racecourse.co.uk/ for events information. In association with Northumbrian water, a mix of fly and bait fishing is available at Derwent (near Consett), Grassholme (near Barnard Castle) and Hurry (near Barnard Castle) reservoirs. Durham City Golf club has been in existence since 1887 making it one of the oldest inland courses in the country. 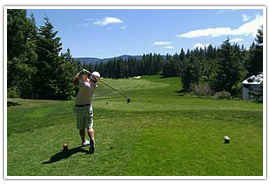 No membership is required as the club operates a pay and play policy. Open seven days a week, visit http://www.durhamcitygolfclub.co.uk for more information. Treat yourself to afternoon tea at one of the many tea rooms and hotels available in the county. 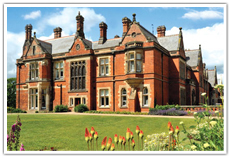 Enjoy a traditional afternoon tea in truly beautiful surroundings, just a few miles outside of Darlington. Sandwiches, scones, and cakes can be enjoyed along with tea, coffee or a glass of house wine for £17.50. Afternoon tea is served daily between 2 pm – 6 pm. See http://www.bw-walworthcastle.co.uk/ for more information. Located in the heart of the city and overlooking the river, this is a beautiful place to sample afternoon tea. Choose from a selection of finger sandwiches, scones, and cream cakes. Afternoon tea costs £12.95 with your choice of Twining’s tea or £19.95 when accompanied by a glass of chilled champagne. 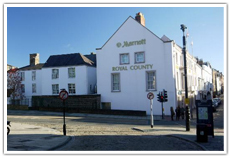 See http://www.marriott.co.uk/hotels/travel/xvudm-durham-marriott-hotel-royal-county/ for more details. There are some stunning wedding venues available in the county to make your special day even more memorable. 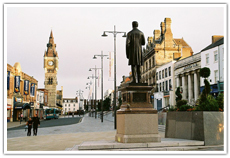 Located in Chester-le-Street and offering something of a fairytale setting for the perfect wedding day. The castle dates from the 13th century and sits within nine acres of beautiful parkland. Weddings are performed in the grand state rooms of the castle. A beautiful four-star country house with extensive grounds and gardens located in Beamish. The hall can cater for up to 1,000 guests with bespoke wedding packages available upon request. This five-star hotel incorporates a spa and golf resort and sits on almost four hundred acres of beautiful grounds and gardens. Previously voted a top UK wedding venue by a bridal magazine. It is the only location of its kind in the county. There are more than sixty different campsites to choose from within the Durham area. 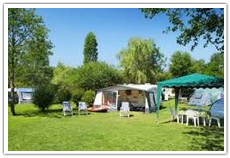 Some of which are ‘Caravan Club’ sites which require a club membership to enter. 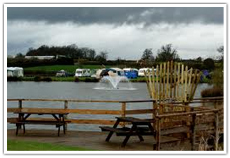 • Durham Grange Caravan Club Site – Meadow Lane, Carville, Durham. 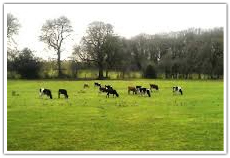 • Bowfield Farm Certificated Site – Boldron, Barnard Castle, Durham. • Conifer Rise Certificated Site – Hunwick, Crook, Durham. • Beavenstead Certificated Site – Cleatlam, Staindrop, Darlington, Durham. • Thorpe Farm Centre – Greta Bridge, Barnard Castle, Durham. 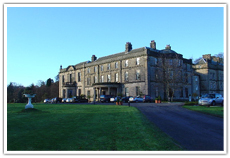 • Westgate Camping Site – 3 Britton Hall, Westgate, Weardale, Durham. • Bobby Shafto Caravan Park – Money Hills, Beamish, Durham. 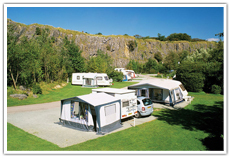 • Leekworth Caravan Park – Leekworth Lane, Middleton in Teesdale, Durham.